Attorney and UNC Senator Gerald Ramdeen. Chief Justice Ivor Archie was highly critical of attorneys Varun Debideen and Gerald Ramdeen, a UNC senator, as he delivered a ruling yesterday. “It is unimaginable to think that an attorney, who is an officer of the court, is taking vigorous steps to prosecute a matter in which his client has been dead for two years,” Archie said. The judgement was on the appeal by the Attorney General of a judge’s ruling which gave the attorneys representing Roland James – the claimant in a false-imprisonment case against the State who died a month after his lawsuit was filed in 2013 – the permission to appoint someone as his substitute. In January 2016, Justice Ronnie Boodoosingh gave James’s attorneys time to appoint a substitute, failing which, he ruled, the lawsuit would be struck out. Boodoosingh gave his ruling in an application by the State to have the claim dismissed because James was dead and no one was appointed as his substitute. The judge also turned down a request by the State to consider the issue of wasted costs. The attorneys who represented James, whose case went as far as the Appeal Court even although he was dead, were accused of engaging in highly improper conduct and abusing the court’s process by not informing the court that their client was dead. James died in October 2013. In his ruling, Boodoosingh held there was nothing unusual about a claim being advanced or continuing after the death of a person. In their defence, Ramdeen and Debideen maintained that neither of them withheld from the court that their client had died, since they did not know of his death until it was brought to their attention in October 2015. But in their decision yesterday, which was written by Archie, the judges said the submission by the attorneys that James had given them full control and conduct of the case was unacceptable. “They had a responsibility to keep in contact with their client and to make him aware of the progress of his case,” Archie said. Archie also ordered that the $3090.74 which had been awarded to James in 2014 as legal costs, should be repaid to the State. 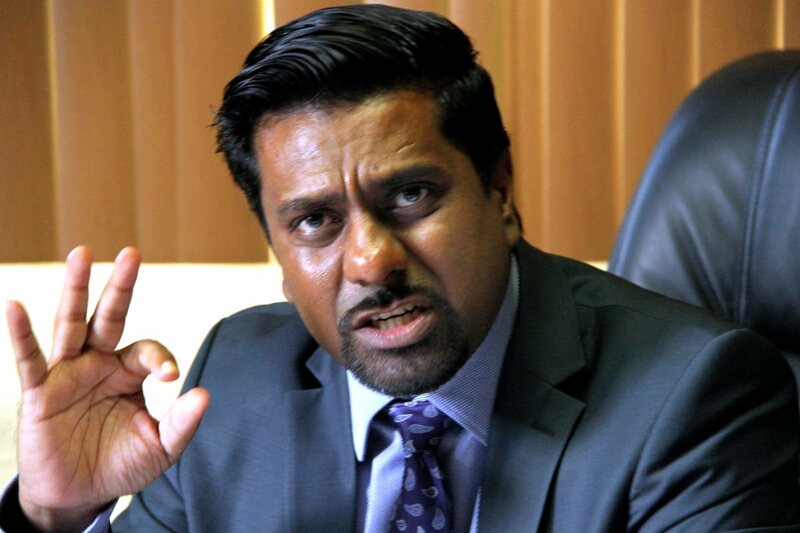 The attorneys are now expected to show why a wasted-cost order should not be made against them, and this has been referred Boodoosingh for his consideration. Attorney Randall Hector prosecuted the appeal for the State. Another order for costs was made against Ramdeen, who appeared alone in the case yesterday, to pay the State’s legal bill of $15,000 for the appeal. As a result, the attorneys may find themselves having to pay this personally when the judge determines the issue of wasted costs of the original application. “These actions may be construed as vexatious and designed to harass the other side, rather than advance the resolution of the case. The conduct of the attorneys must be taken into account when making a cost order,” Archie said. He also added that Ramdeen had represented James, under a different alias, in another case and received a default judgment in the sum of $220,000. “The trial judge’s admonishment of the attorneys on record for the respondent (James), with regard to the duties which they owed to the court, was hollow in light of the fact that he gave no consideration to the impact of their conduct,” Archie added. He also said it was not a relevant consideration whether the attorneys knew or ought to have known about the death of their client in the question of their personal liability to pay costs. Since no one was appointed as James’s substitution in the false-imprisonment case, as ordered by Boodoosingh, his claim has been struck out. In his ruling, Boodoosingh said a claim could survive a death and only in limited cases did death bring an end to a case. He said the twist to James’s case was that the claim went on for almost two years after his death with no one knowing he had died. He also said there would have been to no benefit to either Ramdeen or Debideen in concealing their client’s death, since the State had been given additional time to file its defence. Reply to "CJ slams Ramdeen"